A senior US official said, according to Reuters, that the increased urgency to relocate the 59 prisoners already cleared for release would continue with more transfers expected in coming weeks. A US defense official said, according to The Washington Post, that the men will be “resettled” in Kazakhstan, meaning they will remain under some degree of monitoring by the host government. Released detainees are usually barred from leaving the host nation for one or two years, The Post reported. “The United States coordinated with the Government of Kazakhstan to ensure these transfers took place consistent with appropriate security and humane treatment measures,” the Pentagon said in a statement. All five men were detained as suspects with links to Al-Qaeda or affiliated groups. Further investigation showed that they all “could be described as low-level, if even that,” the official told Reuters. The Pentagon had already sent in December four detainees home to Afghanistan, and six were sent to Uruguay. The other 13 detainees released in 2014 were shipped to Algeria, Georgia, Kuwait, Saudi Arabia and Slovakia. The Pentagon said the Yemeni detainees released on Tuesday are Asim Thabit Abdullah Al-Khalaqi, Muhammad Ali Husayn Khanayna and Sabri Muhammad Ibrahim Al-Qurashi. 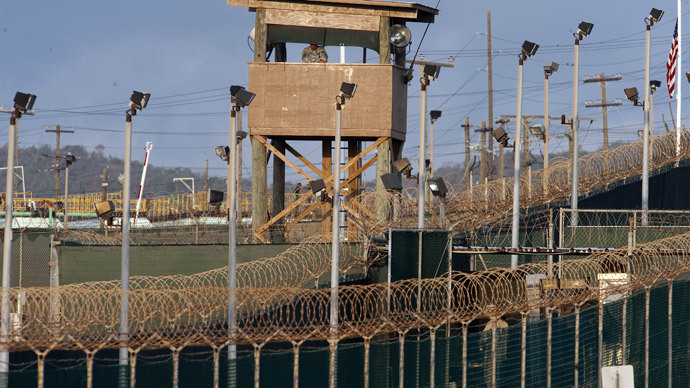 Eighty-one Yemenis remain at Guantanamo, more than any other single group at the facility. The US has long avoided sending Yemenis back to their home nation, citing security concerns and fears some would escape prison there or be set free by the Yemeni government. Khalaqi, one of the Yemeni prisoners sent to Kazakhstan, is believed to have fought with Al-Qaeda in the battle for Tora Bora in Afghanistan, according to US military documents published by WikiLeaks. According to Reuters, he was implicated by John Walker Lindh, an American caught fighting with the Taliban in late 2001. Khalaqi denied links to Al-Qaeda after he was captured in Pakistan in late 2001 and offered to the US. The other two Yemenis are said to have been Al-Qaeda members, according to the leaked military documents, dated 2007 and 2008. Like many other Guantanamo detainees, none of the Yemenis were ever charged with a crime. One of the Tunisians, Adel Al-Hakeemy, was a military adviser to Osama bin Laden who fought against US forces at Tora Bora and in the Balkans. Abdullah Bin Ali Al-Lufti, the other Tunisian, was captured in Pakistan and held at Guantanamo for nearly 12 years, according to government documents compiled by the New York Times and National Public Radio. He was allegedly linked to Tunisian militants when he lived in Italy in the 1990s, though he has denied these accusations. Chronic heart problems led authorities to recommend his transfer as early as 2004, Reuters reported. He was also treated for depression and anxiety while at Guantanamo, according to The Post. "I’m going to be doing everything I can to close” Guantanamo, President Obama told CNN in an interview aired on Dec. 21, echoing sentiments he has expressed often since taking office. Congress, he continues to insist, is to blame for the prison’s extended existence. Among other obstacles to shuttering the detention center, Congress has instituted a ban on detainee transfers to the US mainland.